November | 2012 | jumpinjellybeanz! The world of IT is an incredibly faced paced one. There are constant technological and software updates that affect all areas of IT, a huge amount of resources goes towards maintaining systems at a certain standard of reliability and operation requiring regular updates and in some cases vast overhauls. It is for this reason that many people are adopting open-source and ‘free’ solutions in their daily operations in an effort to keep costs down and productivity up. One such area that the adoption of open-source free operating systems has begun to take place is in enterprise scale operations. Many organizations are paying attention to the implementation of Linux, and thus they require a vast amount of Linux training to keep their current staff and potential hires up to speed. One of the first things to take a look at with developing a profitable enterprise environment reducing expenses and cutting costs. Everyone likes to make money, but putting resources into generating higher revenue has very high demands and ultimately the best way to improve the value of the financial resources an organization already possesses is to look at creative and effective methods of reducing expenses. Of course operating systems is just one of these areas. When compared with the cost of Microsoft systems a free and open source solution is exactly what many people are interested in obtaining. When it comes to future-proofing an enterprise environment there is no better way than increasing profitability. A critical aspect of Linux is the history of its development and establishment within the world of technology. Linux is not going anywhere that much is certain; it is deeply entrenched within many data centers. Although there has been some criticism of Linux’s success on the desktop (most notably from ex Linux kernel developer Con Kolivas) due bias towards server performance it has begun to pick up speed as a daily OS primarily due to the implementation of graphical user environment’s such as GNOME. Also, many popular software packages are beginning to move to Linux. Coupled with the server application of Linux it is clear that the operating system is here to stay. For most IT enterprises Linux has been the mainstay of their server fleet. It has been reported that since 2010 Linux distributions make up the core web-hosting data servers for 6 of the top 10 internet hosting companies. Why do so many top hosts rely on Linux for their server OS? Well we already brushed on the topic; the open-source model coupled with the very affordable price-tag. Those who have a well-rounded understanding of Linux through a Linux training course stand to have a bright future ahead of them as the cost cutting implementation of Linux takes hold. 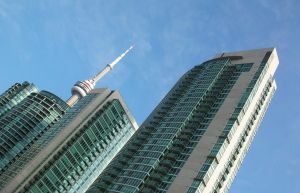 How Much Do Real Estate Lawyers in Toronto Cost? Legally, only a government official or real estate lawyer has the power to transfer title of a property over into your name, so there’s just no getting around that. For first-time home buyers in particular, however, real estate can be a complicated business that is best approached with a seasoned professional on your side, and you should resist any temptations to save costs by hiring one to merely close the sale. One small error on your Purchase & Sale Agreement can present financial devastation in your future. Experienced, reputable real estate lawyers can protect you from devastating financial complications by reviewing your Purchase & Sale Agreement, negotiating questionable terms in the contract, and setting up your title insurance policy. Jay Teichman, a real estate lawyer in Toronto with over thirty years’ experience of successful real estate transactions charges a starting rate of $575 for services which include closing the sale, review of Purchase & Sale Agreement (plus amendments if necessary), preparation of legal and mortgage documentation and arrangement of title insurance policy. In conclusion, it can be hard to part with hard-earned money when you are at the onset of a new mortgage, but the services offered by an experienced real estate attorney should really be viewed as priceless; they will help you start your new life with your family without fear of any future problems with title. Some law firms work only in very specific areas of personal law; there are firms that deal strictly with motor vehicle accidents, for example. Each and every personal injury is a complex jumble of facts, evidence, speculation and emotion—no two cases are alike. 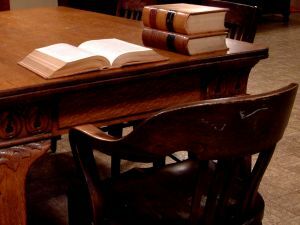 A personal injury law firm that is willing to take on not just one, but many different types of cases is a firm with resources, one that is willing to do the research and put in the work it takes in order to get you the compensation that you deserve. Personal injuries can cause a great deal of damage; some can be so physically and emotionally traumatizing they may take years of physical and psychological therapy to recover from. You want to be in a comfortable enough position financially to have the means to afford the necessary treatment that will help you get your life back on track. Only an experienced personal injury law firm with a number of success stories will have the knowledge and the skill required to know what you will need to recuperate fully. You want to look for a law firm who pays attention to how your injury will affect not only your job and your finances, but also your family, and your quality of life. Emotional factors play a key role in every personal injury case, and to get the most satisfactory settlement, you’ll want a firm who understands this. In conclusion, there are many other features that make a law firm worth your while, but the three listed will help you in finding one that works for you. Does the Thickness of Brew Pots Matter? There are many advantages to brewing your own beer; however, selecting the right brew pots can be a difficult process. A person needs to be concerned about the brew pot material, the size of their pot, and also whether or not they can afford their pot. One of the common areas that people can skimp on is in the material cost. 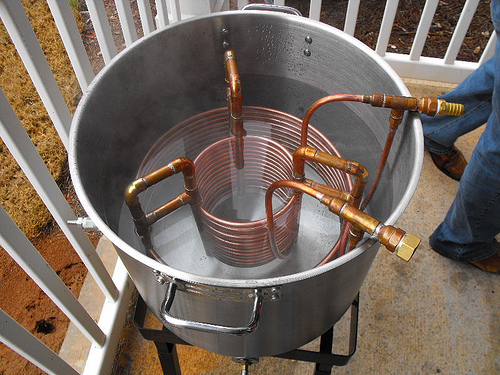 By buying a cheaper pot home brewers are able to afford a much wider range of brew pots such as aluminum pots. An area of particular discussion and concern for some is in the thickness of their brew pot. There are various schools of thought on this subject so let’s dig in. The bottom thickness of brew pots plays an important role in the heating of the pot. It is possible to find brew pots that have extremely thin bottoms in the range of 1mm and also pots that have very thick bottoms such as a 5mm bottom. There are a few different thoughts on the bottom thickness, some people prefer to have a thicker bottom and others a thinner. Some stainless brew pots have what is called a double-bottom which means they have an inner core of aluminum sandwich in the middle of the inside and bottom of the pot. This is with the intent to speed up heating time since aluminum is said to transfer heat much more quickly. There is some debate whether this is a benefit or not. Thicker bottom brew pots tend to be much more durable as they will not dent or warp very easily due to the strength of material. However, they also take much longer to heat up, also if you over heat the pot the bottom will retain the heat for much longer care must be ensure that the correct temperature has been set. A thicker bottom will also prevent scorching from occurring but the drawback is that a large thick bottom brew pot will have a hard time being heated on a stove so a burner is a must. Thinner bottom brew pots will tend to heat and cool very quickly and this can be a bonus for some allowing for fast boils and fast chills. Additionally, this aspect makes a thin brew pot ideal for stove top use as it will heat fast and hold a boil well. However, a drawback to brew pots with a thin bottom is that the material can dent, and become damaged very easily. Another drawback to thin bottom pots is they also tend to have thin sidewalls which we will get into in the next section. The side thickness of a brew pot should also be carefully considered. Generally speaking the thicker the bottom the thicker the sides of the brew pot will be. A clear advantage to thick sides is that the thickness will reduce the transfer of heat through the side of the pot. This aspect of holding in heat better will be beneficial for consistent heat during a mash. This benefit is also a drawback initially as it will take more time to heat up the sides of the pot during the beginning of the boil. Another drawback to thicker side walls is that the chilling process will take more time using an ice bath or immersion chiller due to the walls retaining heat. For most database application developers there is a moment when they realize that they should go back to upgrade their set of skills. It may take time for this realization to dawn on them, not everyone is struck like Newton under the tree – perhaps they see alluring database developer jobs popping, or they watch their developer friends and colleagues advancing their knowledge. DB2 training is also great for business owners (check out how you can use DB2 training in your business in this great article!) Whatever the case may be, one very interesting and prospective area to invest time is in IBM’s DB2 database. 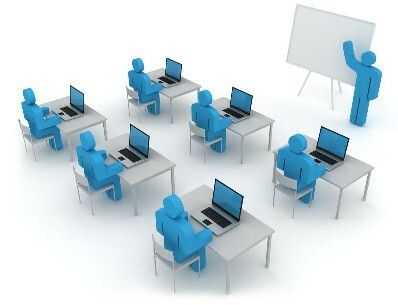 Luckily, there are quite a number of DB2 training courses for those who are interested. Why should someone investigate DB2 training? Those who do not have their ear to the rail so to speak may not quite understand what makes DB2 a great choice; let’s take a look at one of IBM’s most recent implementations. One of the most exciting features to come from DB2 is the so called “Time Travel” feature. For years, those conducting SQL queries have been looking for a solution to the problem of making a query regarding a future set of data. The problem is that the data is either there, or not there. There has never been a simple solution to determine if the data will most likely be there in the future, without cumbersome and awkward plugin solutions. IBM has now implemented an SQL interpreter that is capable of performing temporal operations. Concerned about the laws of physics? Don’t be, essentially what this feature allows for is the accessing of certain data in a state that it was in at a particular point in time. For instance if an insurance broker is conducting an investigation into an old claim and needs to reference the policy that was in place at that time. Simplifying those types of queries is the job of the new DB2 SQL interpreter. For most database administrators and developers who are in possession of some fundamental experience on other SQL platforms, attending DB2 training will simply be an exercise in learning a new way to do the same old things in on a new platform. There are a variety of fundamental differences between DB2 and other database solutions and many who seek to be proficient IBM DBAs will of course seek out the most structured intuitive training course available. There are quite a number of such courses for those individuals to attend ranging from fundamentals to specialist applications of DB2 implementation. Whether you are seeking to become a full database administrator or are an applications developer who needs to gain a deep understanding of the DB2 you can find a training course to suit your needs. Because personal injury cases are multifaceted themselves, it makes sense that the firms that handle them should have a wide breadth of experience and knowledge of injury law. Some firms specialize in only one type of personal injury law, such as motor vehicle accidents. While these firms may have extensive experience in cases involving car accidents, their one-sided approach to injury law betrays a personal agenda: to take only the types of cases that will surely benefit the firm. Multifaceted personal injury law firms believe each and every client is precious, and this is illustrated by their willingness to take on different types of cases, even if they are difficult. While the bare minimum an injured person hopes for in a personal injury case is compensation for their medical bills and/or missed work wages, a multifaceted personal injury law firm will work to win you compensation from different angles as well. It is possible to receive additional compensation simply because your injury has lowered your quality of life, but not every law firm is willing to put the time and research that this takes into your case. Multifaceted injury law firms will also take into account the emotional factors involved in your case, and work them to your benefit, ultimately getting you your compensation while making you feel cared for. In conclusion, choosing a personal injury law firm is a decision that should not be taken lightly. 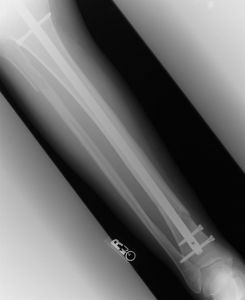 You may even wish to shop around for a multifaceted injury firm while you are currently healthy, to give you peace of mind later, should an accident strike. Does Communications Training Make a Difference? For a vast number of leaders and executives there are a number of programs, courses, systems, and methodologies that all claim to improve their abilities in some form or another, communications training is just such a program. The real problem is deciding which of these methods is going to pay off. It can be hard to decide for a number of reasons; the cost of such programs and courses are usually high; there is little, if any hard science to back up the all too common grandiose claims; and the time commitment can be extremely prohibitive for some. However, one thing is clear – executives, leaders, and those who are aspiring to these positions all must, on some level, communicate with their peers, subordinates, and stakeholders. It is for this reason that communications training is an absolute necessity. Still not convinced? Here is a great article I found on communications training that talks about why one would need to take such a course. But read on to learn more! Let’s go through a short mental exercise for a moment: Imagine a couple that just sat down for dinner, we’ll call them person A and person B. Person A starts talking about their day and begins to rattle on about their day talking about what they had for lunch, the jerk that budded in line at the grocery store, and how many times they had to use the bathroom. When the person B tries to talk person A is quickly reminded of how that relates to them and continues to go on and on without giving person B a chance to speak. 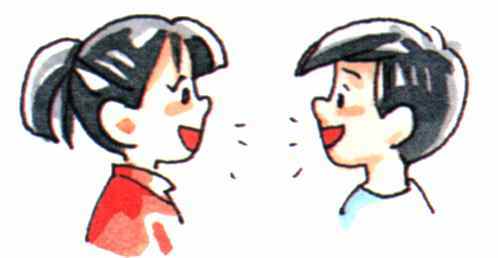 Now, assuming that these two people both deeply respect each other, this is a common occurrence with individuals who suffer greatly from poor communication skills and possess no idea about the most fundamental part of communication – listening. Listening is fundamental to communication and learning how to actively listen is one of the key components of the majority of communications training courses. Listening for some may be difficult, and that is alright because it is a skill that can be honed. It is a very important skill too, for listening is the one thing that allows an individual to assess those things that are important to others around them. This is just as critical at a dinner table as it is in the office or at a client meeting, understanding that which is important to the individuals they engage with allows them to then provide their input in a manner that addresses the matter at hand effectively. To those that may not understand the importance of communication, it is a pity. For everyone else communication is a necessity in our world, whether it is the business world or our private lives for we must communicate day-in day-out with our colleagues, loved ones, and acquaintances. So, does communications training makes a difference? It all depends on where you are starting from, but for the majority of people gaining a better understanding of our human condition is a fundamental blessing that should not be ignored.